San Diego Self Storage has supported and sponsored Toys for Tots for over 25 years now! This wonderful organization is truly special to us, and we are proud to play our role. During the second half of November and the first half of December, we asked you to bring in new, unwrapped gifts so that less fortunate children could enjoy the magic of the holiday season. We greatly appreciate all of the contributions made to Toys for Tots this year and every year. With your help, San Diego Self Storage collected nearly 19,000 toys in 2017. 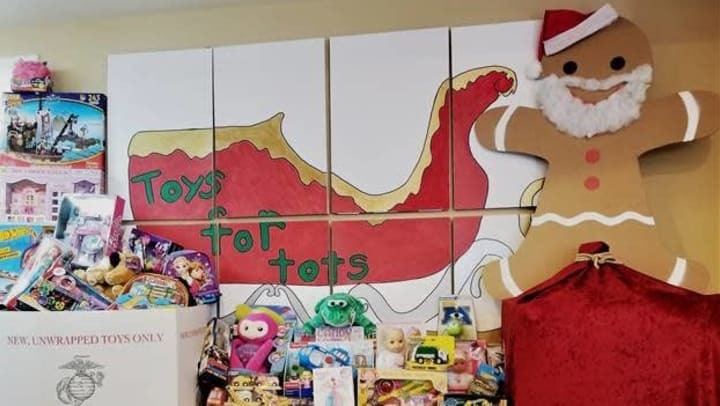 Although we were very proud with last year’s results, we challenged ourselves with a hefty goal for 2018’s Toys for Tots campaign- to collect more than 20,000 toys. Such an achievement would surely require teamwork and dedication not just among SDSS employees, but tenants and community members as well. San Diego Self Storage and its 18 locations are pleased to report that our efforts paid off more than we could have imagined. With your help, our facilities collected almost 25,000 toys this year! These toys helped make the holiday season an enjoyable one for so many local, less fortunate children. This toy total is the most that we have ever collected in one year as a company, and we know we could not have done it without the support of friends, neighbors and tenants.